Candidates who appeared in RRB NTPC Second Stage CBT Exam will soon be able to access their results online. Railway Recruitment Board (RRB) is all set to declare the results of RRB NTPC Mains CBT 2016 at the official website within few days. The candidates who were qualified in the first stage of CBT Exam, were eligible to appear in 2nd Stage CBT for which result is still awaited curiously. 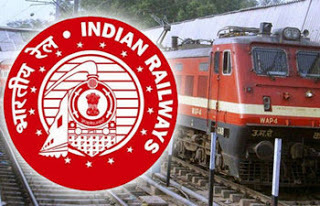 It is advised to have patience and keep a constant visit over the official page of RRB to get the result release date. The most expectedly, RRB NTPC result will be out before Holi. RRB has not yet made any format result release date. Recently, RRB has published the answer key for Second Stage CBT Exam at the website. January 30 was the last date for raising the objection till January 30, 2017. As per information revealed by the secondary sources, the RRB NTPC 2nd Stage Result 2016 is going to be announced before Holi. Here, we are providing some crispy steps to get their result online through the simple downloading method.